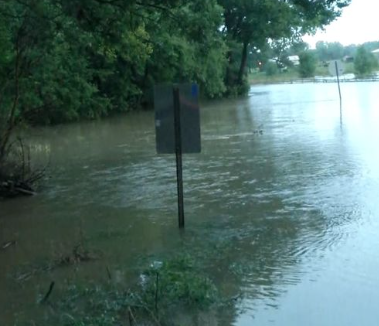 MONTGOMERY COUNTY— Emergency management authorities have identified a father and son who died in flooding Tuesday evening. The two Montgomery County Kansas men were killed when their vehicle was swept off on CR 2950 south of CR 5400 during heavy rainfall. The two identified 72-year-old Dennis Clark Catron Sr. and 39-year-old Dennis Clark Catron Jr., both of rural Elk City, according to Montgomery County Sheriff Roberts Dierks. During the heavy rain Deputies responded to multiple calls of stranded motorists and in some cases Rural Firefighters and Deputies were going door to door to warn individuals of high waters. Deputies also responded to an incident at CR 4500 and CR 5000 where a vehicle was found on its side in the ditch. No one was found in or around the vehicle and attempts to contact the owner of the vehicle were unsuccessful. During the storms the northern part of Montgomery County received high amounts of rain. Rain fall totals for the area range between seven to eleven inches unofficially. There are also reports of a tornado in the Elk City area. Several videos have surfaced on social media of the funnel cloud near Elk City, according to the sheriff’s department.